Tights & hosiery have been at the forefront of following whatever trend is on at that moment in time. 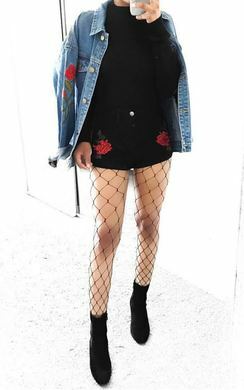 Over the years we have seen styles from sparkly tights, knee high sock illusion tights, patterned tights and even the classic fishnet tights. Here at IKRUSH we like to provide you with the most current on trend tights & hosiery for every season. Whether this is to style with a little black dress and some ankle boots for those winter months, to pair with a pair of shorts and a crop top for a night out or for wearing for pure comfort and warmth in those super cold months - we have something for everyone. So head over to our clothing category to get some inspiration on what you can pair your new tights with and don’t forget to pick out a new pair of heels, boots or trainers in our footwear category too! Remember.. tights can be stylish too, they don’t have to be boring and black y’know.